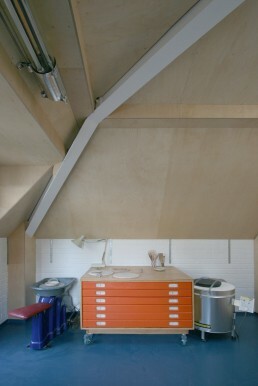 JAWS (James and Wakana’s Studio) is a purpose-built Pottery Studio located within a private mews in South East London. 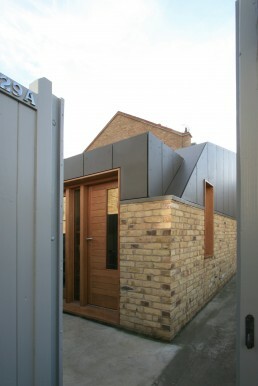 The studio is located in a dense urban setting, tucked away behind a typical Victorian stretch of terraced houses on a parcel of land just 4.2 x 6.4 metres, which was once part of the garden to the adjacent house. 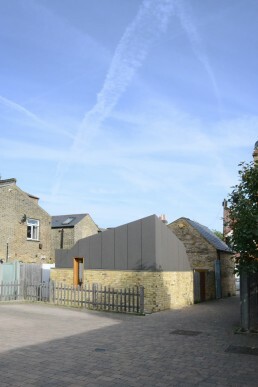 The brief was to create an inspiring yet utilitarian light-filled space on this pocket-sized piece of land, by maximising its height within the constraints posed by its urban context. 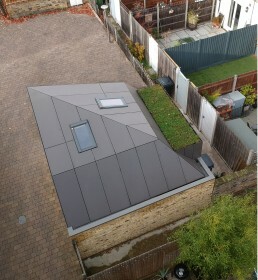 This led and informed the shaping of the dynamic roof geometry which simultaneously maximises height whilst limiting its impact on the neighbouring properties, respecting their rights to light as well as their outlook. 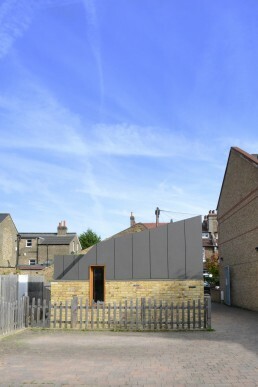 The materials palette takes the the traditional London stock brick of the surrounding garden walls to form the solid plinth of the studio creating a contrast to the clean, angular Equitone fibre cement board cladding which echoes the colour and tone of surrounding slate roofs. 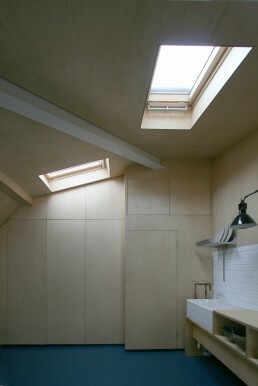 Natural light is provided by two large rooflights, French doors to the private courtyard and a slot window straddling the two external wall treatments. 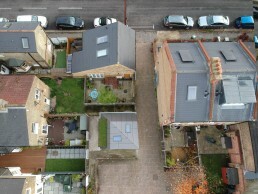 A strip of Sedum green roof reintroduces an element of green space and integrates the studio into its urban garden setting. 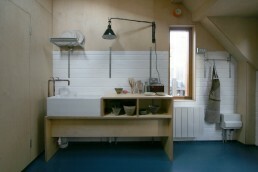 The interior is kept clean and simple with birch faced ply lining to the roof and wrapping around the walls to meet the painted brickwork plinth which provides a more robust finish for the pottery. 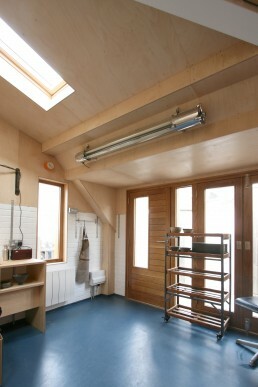 Side openings are kept to a minimum to maintain privacy and maximise wall space for storage and shelving. 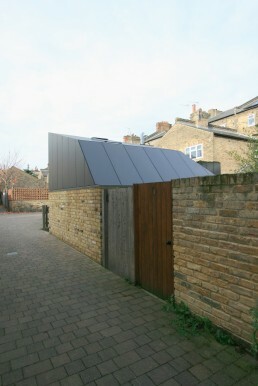 Despite being hidden from the nearby high street the studio has already become a popular addition to the mews and talking point with residents and visitors.